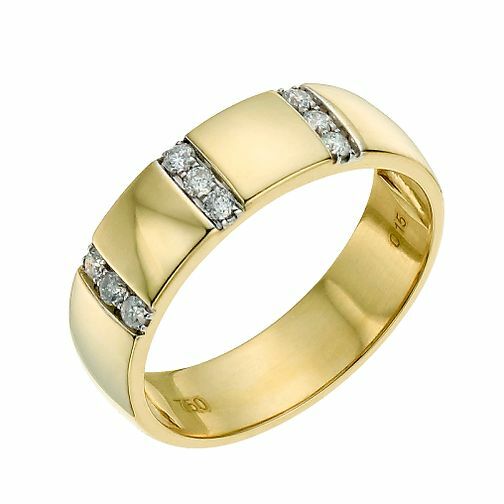 18ct yellow gold ladies' bridal ring featuring a diamond set design oblong with 5mm wide ring. Make a bold statement with this stunning ring. 18ct yellow gold 5mm diamond ring is rated 4.0 out of 5 by 2. Rated 5 out of 5 by Anonymous from beautiful Purchased as a replacement for lost ring. Love it,looks just right on my finger. Thanks I did like this ring before but it was only on the mens page, could not find in womens rings but found it in the shop.